This week in Atlus's Persona 4 Arena Ultimax trailers, Marie takes the stage in this week's Japanese trailer. We get a look at her attacks and her Persona Kaguya in action below. You may have noticed I specified that this was the Japanese trailer. 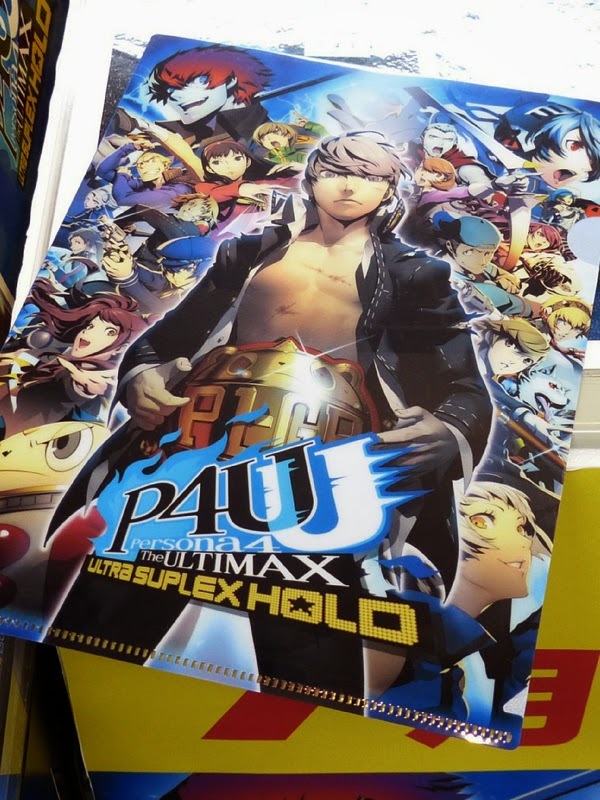 This is because AtlusUSA posted it's first round of English character trailers for Persona 4 Arena Ultimax. Complete with English voice acting and translations, here are the trailers for Yukari, Junpei and Rise. Let us know what you think in the comments! See the other trailers on our Persona 4 Arena Ultimax posts: Elizabeth and Teddie, Promo Video, Naoto Shirogane and Kanji Tatsumi, Chie Satonaka and Shadow Labrys, Game Trailer, Yu Narukami and Tohru Adachi, Sho Minazuki, Yukiko Amagi and Yosuke Hanamura, Ken Amada and Koromaru (at the bottom of the linked post), Labrys (at the bottom of the linked post), Junpei Iori and Rise Kujikawa. For some reason I didn't do a post on Yukari's Japanese trailer, so here's her trailer on Youtube.